keziah is using Smore newsletters to spread the word online. Hamlet swell as Romeo and Juliet and Macbeth. He was married to a woman named Anne Hathaway who birthed a daughter and a set of twins. evidence shows that by 1592 Shakespeare had earned a career as an actor and playwright in London. Documents show that Shakespeare was a managing partner in the Lord Chamberlain’s Men (acting company) later changed to the King’s Men once king James was crowned . by the year 1597: 15 of the 37 plays written by William Shakespeare were published. Shakespeare's early plays were written in the conventional style of the day, with metaphors and rhetorical phrases that didn't always align with the story's plot or characters . 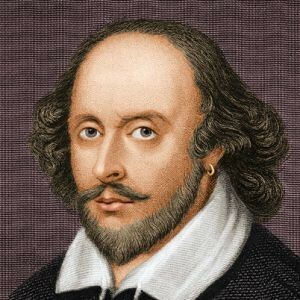 Shakespeare died April 5, 1616. However, his works and legacy continue to live on. Being taught in different countries, and having works translated into different languages. William Shakespeare is one of the greatest writers of all times. Covering the areas of theater and poetry, he is very well known. Not only in Europe, however, all around the world. 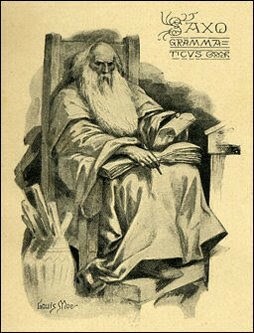 His poetry and plays have been taught, performed and studied for hundreds of years after his death. All across the world he is known. He is so respected and admired, that his plays and poetry are translated from english into many different languages so that it can be taught to non english speaking countries. Shakespeare's writing is filled with metaphors making his writing very rich and filled with language. The characters have very complex lives along with many underlying themes that pop up in the works. Some themes are love, honor, bravery, betrayal and political intrigue. 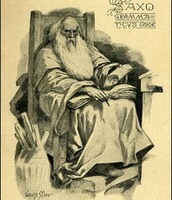 Being that he lived during the Reniassance, many of his writings have the many values of the movement. Classicism, secularism, well roundedness, individualism, skepticism, and humanism are the six core values. The Renaissance influenced Shakespeare because one. He was an individual, he had his own style of writing. In his writing, there is a big presences of classicism. He makes sure to show the distinct line between them. However, in performances, his works were performed in front of everyone. He would have the lower classed people standing in the heart of the theater while the rich and wealthy sat in the balcony. This allowed all the classes to come as one to enjoy art. Above is a picture of the Elsinore Castle. 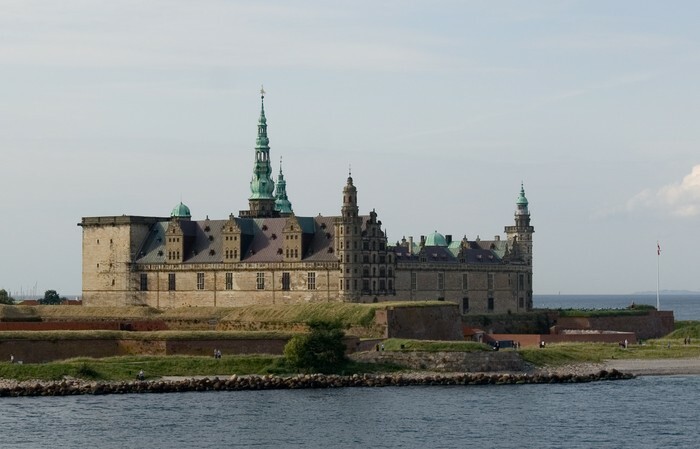 This castle which is depicted in the play, is located in Kronborg, Denmark. Revenge Tragedy is a style of drama, popular in England during the late 16th and 17th centuries, in which the basic plot was a quest for vengeance and which typically featured scenes of carnage and mutilation. 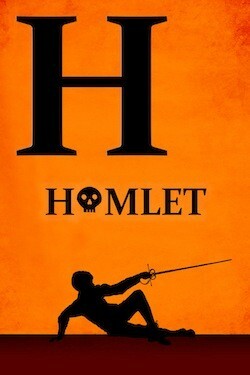 Where did Shakespeare get his idea for Hamlet? 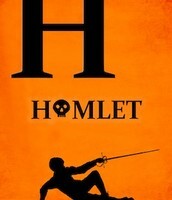 Some of the sources that Shakespeare used are Hystorie of Hamlet and the story of Amleth. · Hamlet the ghost: The ghost of King Hamlet who was murdered by his brother. · Claudius: the brother of king hamlet, the new king of Denmark, killed his brother to get the throne and to marry his wife. · Gertrude: is Hamlet's mother and Queen of Denmark. · She is a young woman of noble blood in Denmark. She is the daughter of Polonius and the sister of Laertes and potential wife of Prince Hamlet. · Horatio: A friend of Prince Hamlet. He is also a scholar. 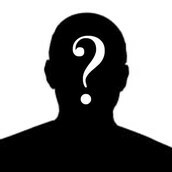 · Polonius: He is chief counselor of the king, and the father of Laertes and Ophelia. 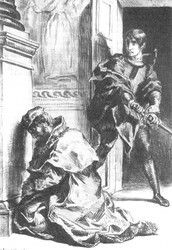 · Laertes: is the son of Polonius and the brother Ophelia In the final scene, he kills Hamlet with a poisoned sword to avenge the deaths of his father and sister, for which he blamed Hamlet. · Rosencrantz and Guildenstern: are courtiers to the king the king sends to spy on Hamlet, using their claimed friendship with him to gain his confidence.